Made by Painters for Painters. Find your most profitable lead source. Calculate the true cost of your employees. Real time reporting on your business. Simple to use & Australian based support. I have been learning first hand many of the things you talk about in the book, like the effect that good presentation has on giving the customer confidence in you, it’s great to have that book as a bit of a reference when I'm thinking about ways to improve what I'm doing. I recommend Jim as a fantastic contact for self-employed painters in Australia. 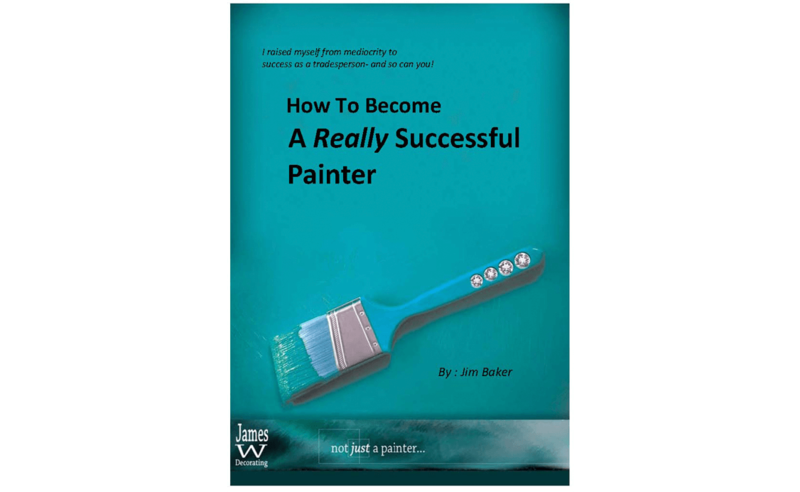 Jim's software programs are excellent tools for knowing your numbers, and also recommend his book "How to be a really successful painter". Jim speaks from experience in the field so his business advice is especially useful. Jim has the drive and passion for his industry and his driving force is to develop and share programs and services to improve the industry. If you are able to interact with Jim it will only benefit your business. Jim has designed and implemented a fantastic program to help trades people operate their business in a more profitable way. Jim has been very helpful to our organization and I would highly recommend Jim and his program to all trades people. Jim is a leader in small business in the construction industry. He is generous with his time and mentoring skills; and has created many innovative software systems for estimating and marketing. I have read Jim's book and distributed to customers and friends. Painters who have been in the industry for 30 years or more still had eureka moments through reading the book. Jim has a wealth of knowledge and experience and is very pleasant to deal with. Jim is a leader in the Paint and Decorating industry. He is always looking at innovative and creative ways to help both his own business as well as the overall industry. Jim acts as a mentor and a coach and has developed many apprentices over his years in business. Make the right decisions for your business by having the right information. Mytools was developed after 30 years of experience in the painting business to help you track the important metrics in your business. Stop guessing and make informed decisions about your business and how to price your jobs accurately. With all the information you need at your fingertips, you can double down on what works and stop losing money on what isn’t. Find the most profitable advertising channels and finally drop those pesky ads that you never quite knew whether they were working or not. Find bottlenecks in your sales pipelines and also get insights into whether you have been underquoting and losing money. To find out more, download our guide below. You won’t ever deal with off-shore call centres when you need help! Every painter who signs up will receive an email from the owner of the company with a special offer to help you get your first few clients started with the program and understand how it works! Deal with someone who understands your industry and who wants to help equip you with the tools to run a profitable healthy painting business. Learn how to accurately price your job so you know just how much you’re going to net on a job with no chance of losing money again. Business how it was meant to be. Spend your marketing dollars on what actually works, track all of your clients! Your past clients are your future clients. Built by a painter for painters! This wasn’t designed by rocket scientists and technical geeks. Simple to use with all the tutorials you will need to get started in minutes. On the job, at the hardware store or in the office. Keep your finger on the pulse with mobile access to your most important business info when you need it most. Stop guessing and use the right tools to know exactly how to price a job and exactly how much you’re going to earn when it’s done. Jim’s book has helped thousands of painters globally from USA to Fiji and Australia. Highly recommended by Dulux Australia, Master Painters Association and TAFE colleges, if you want to grow your business, you need this material. The National Institute of Painting and Decorating has developed on-line courses for the painting industry. These courses have been developed by qualified trainers and are supported by leading manufacturers and RTOs. Now you can learn while you earn! Rainy day? Quiet week? Study at your own pace with fun, engaging multi-media videos, animation and quizzes to test your knowledge. I will assist and help you complete the course and be available for any questions you may have. They are compatible with any PC, lap-top, smart-phone or Mac with internet connection. Download this free report to learn how you can win more profitable jobs and the tips from one of the most experienced and published painters in the business that helped him net an extra $40K in a single year! No matter what trade or size your business may be, this program will tell you how much you need to be earning (down to the hour) to cover its regular outgoings. So don’t go by what someone else is charging; know your own costs, as this will help you maintain a healthy profitable business. A fully automated program where all you have to do is fill in the metre or lineal measurements and the total price (and individual costs) will appear in an instant. It can be personalized to suit your own business requirements by simply changing the suggested rates; such as the hourly charge and the cost and spread rate of the material. Looking for improvements in your business? Then this book can really help you as it has for thousands of other painters in Australia, New Zealand, Fiji, USA, Canada, England and even Russia. 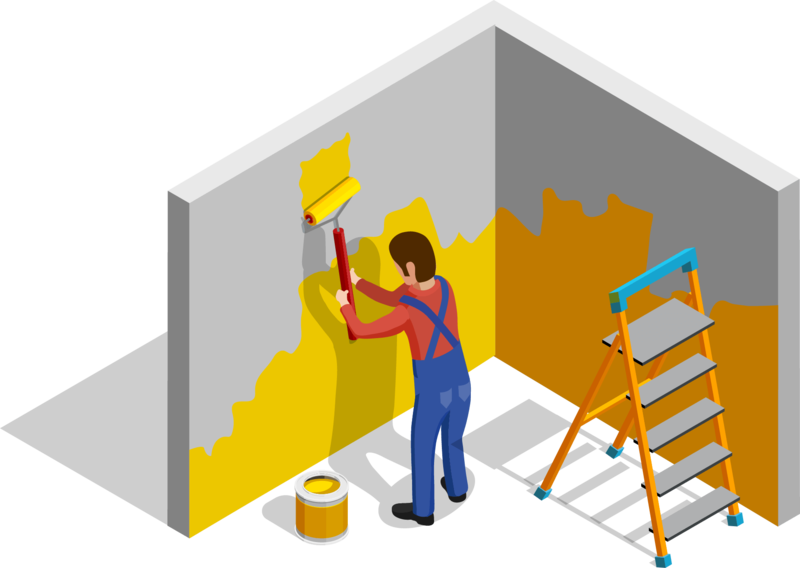 Thoroughly recommended by Dulux Australia, Master Painters Association, TAFE Colleges and individual painters, it is a source of excellent information for your business. We all know marketing is a necessary evil, but the trick is to understand how your marketing dollars are performing in terms of returning value for money (or effort). Different businesses make different decisions about what marketing activities to engage in, and the investment that will be made in each of these activities. The most important part for any business though, is to measure and monitor the results of these marketing activities. Trace My Business will keep a record of ALL your clients. By signing up you agree to our Terms & Conditions which you can read here. Trial Trace My Business and for a limited time receive a copy of Jims book How To Become A Really Successful Painter FREE. This book has helped thousands of painters globally from USA to Fiji and Australia. Highly reccomended by Dulux Australia, Master Painters Association and TAFE colleges, if you want to grow your business, you need this material.